Are you trying to expand your reach? Are you looking for more creative products and services? Are you interested in making some side cash? The field of professional photography is growing by leaps and bounds. With all that competition, shutterbugs need more ways to bring in more money. Peripheral Vision is the ultimate guide to creating passive income streams from your photography, so you can make money behind the scenes while you're out there doing what you love. Even when you’re doing everything right, you’re still apt to suffer some slow times. Without steady, guaranteed revenue to count on, even the best photographers can find themselves strapped for cash every now and then. But, if you’re like many other creative souls, you aren’t doing this just for the money. You’re doing it because you can’t not do it. For you, this is more than a desire, it’s who you are. Making a living from 'passionate pursuits’ can sometimes be difficult, but there’s hope. And that hope comes in the form of multiple streams of income; passive earnings that allow you to do what you love as you have some supplemental cash coming in the back door. 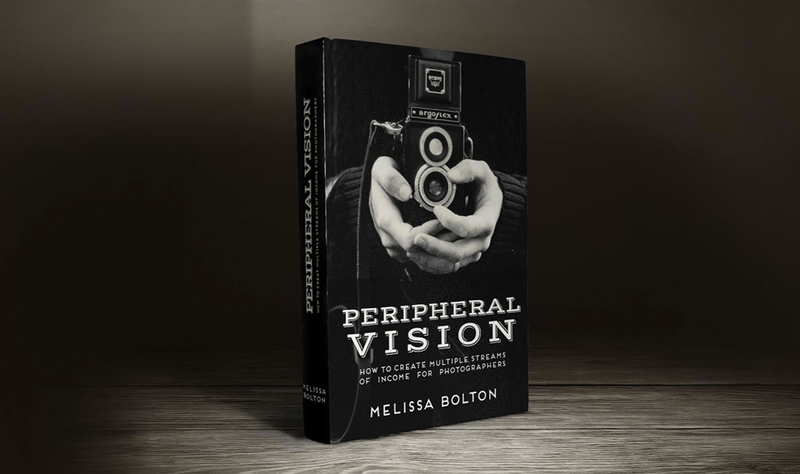 PERIPHERAL VISION HAS EVERYTHING YOU NEED TO TAKE YOUR PHOTOGRAPHY BUSINESS TO THE NEXT LEVEL AND BEYOND. When you're done you'll have dozens of opportunities to capitalize on the work you've already done AND what's been sitting right in front of you all along! This truly is the ultimate photographer’s guide to creating multiple streams of income.